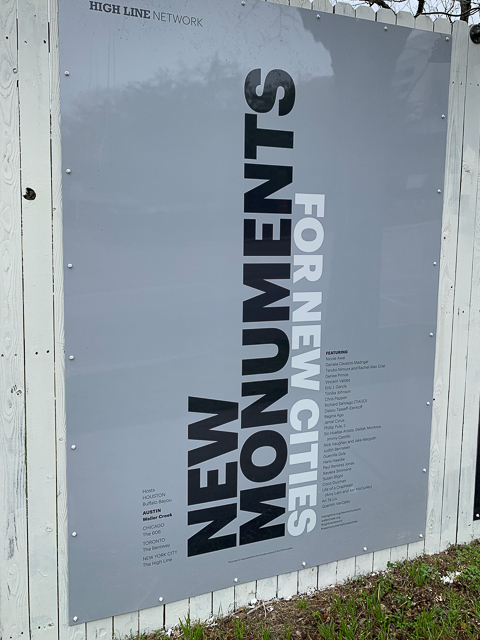 Austin is one of five cities participating in New Monuments for New Cities. This public art program is sponsored by the High Line Network, which started with The High Line in New York City (one of my favorite destinations there) and has now expanded to include projects in over 16 North American cities. Austin’s Waller Creek restoration is part of the High Line Network of urban parks. 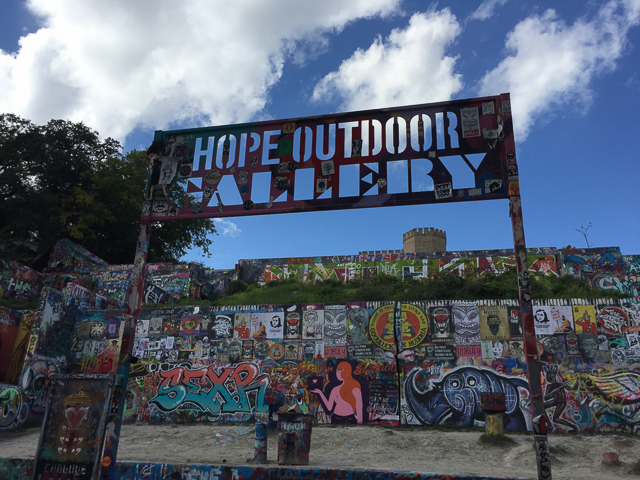 I’m sad to report that the HOPE Outdoor Gallery is closing today. This popular graffiti park was open for eight years on an abandoned condo site at Baylor and 11th Streets. Condos are finally being built there—not surprising since that view of the Austin skyline is spectacular. The gallery is being relocated to Carson Creek Ranch, about 10 miles from downtown near the Austin Bergstrom airport. Construction is already underway, and a summer 2019 opening is planned. Hurry, hurry…tonight is the last evening of the 2018 Creek Show! 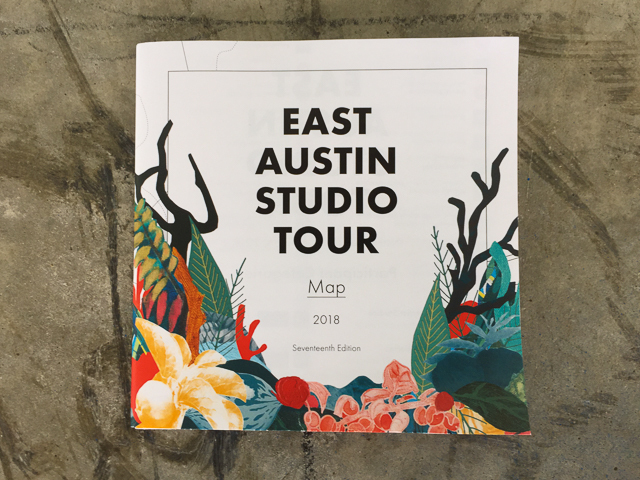 The show’s entrance is on 9th Street near Red River Street and the one-way walking path winds alongside Waller Creek, ending at Symphony Square just beyond 11th Street. 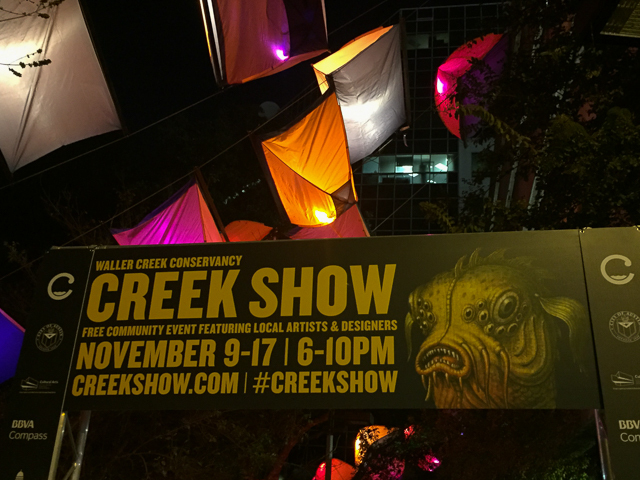 Over 20,000 people are expected to visit this year’s event, which is sponsored by Waller Creek Conservancy. 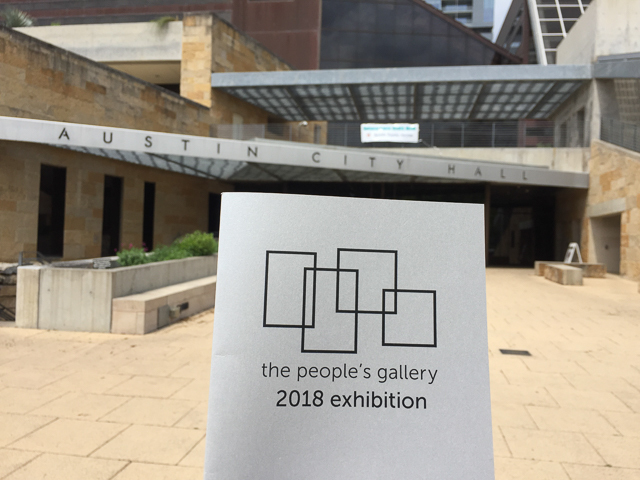 Austin City Hall is now hosting The People’s Gallery for 2018. Pieces by local artists are featured throughout the building, even in the stairwells. Visitors can vote for their top three favorites through October 26. 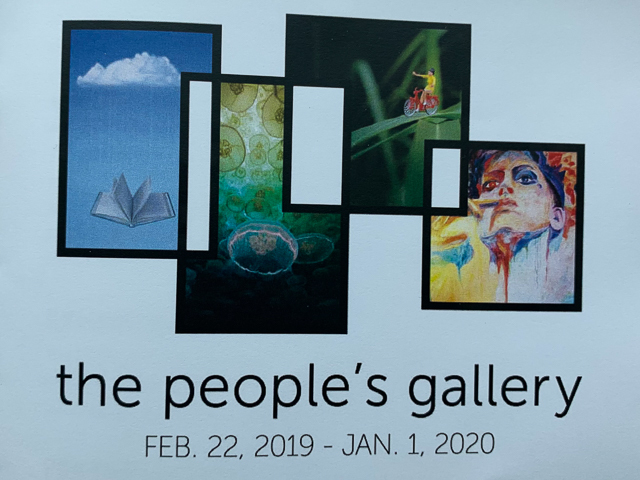 Next year the City will purchase the winning artwork—the People’s Choice—to add to their permanent collection. The exhibition can be viewed through January 1, 2019 during regular City Hall business hours. 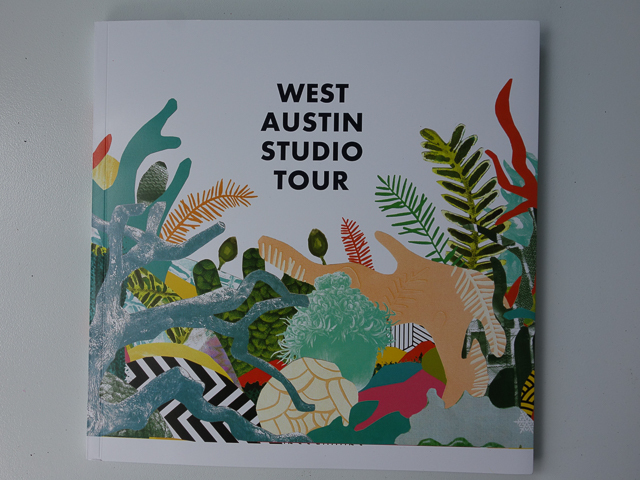 Almost 200 artists participated in the 68th annual Art City Austin. They came from all around the country, from Maine to California and many points in-between. About 20 of the artists were local, and two even traveled here from Canada. 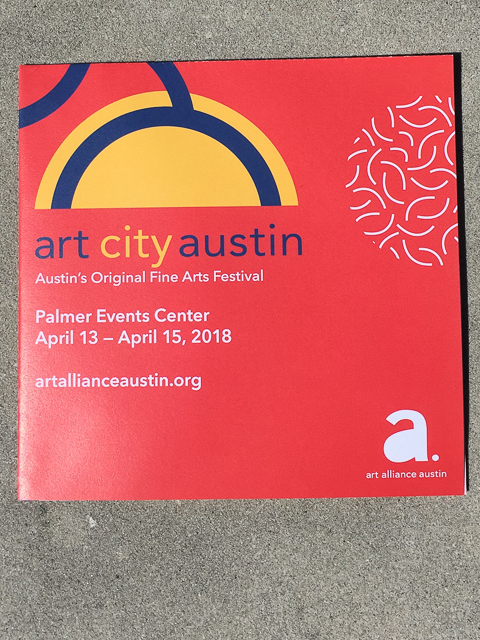 This annual fine arts festival is sponsored by Art Alliance Austin. 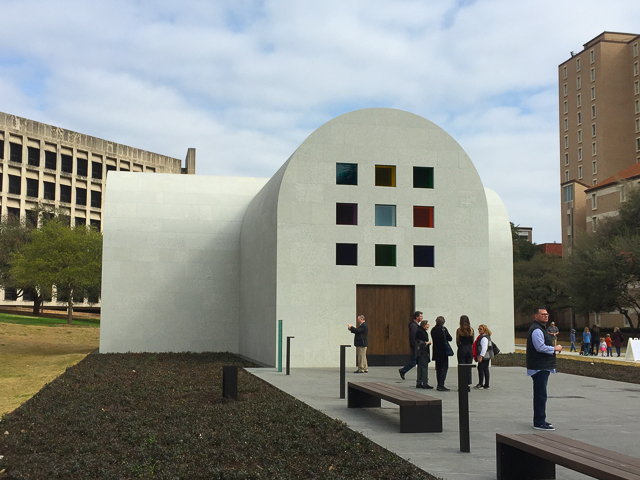 After several years of construction, Ellsworth Kelly’s Austin is opening to the public this weekend. This white, free-standing building is next to the Blanton Museum of Art on the southern edge of the University of Texas campus. Artist Ellsworth Kelly had imagined this meditative space “as a place of calm and light.” Although Kelly died in 2015, the museum says that he was involved in the planning process for this project. On Sunday afternoon, I stopped by the Elizabet Ney Museum on East 44th Street to see an outdoor exhibit called BorderǀPromise. 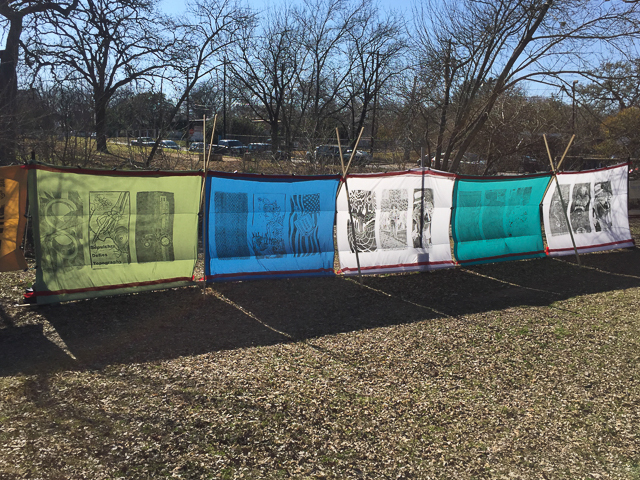 In the field behind the museum, artists from San Antonio were creating what they called a “border bandage.” In their words: “Our goal is to help heal the wounds that divisive rhetoric has caused along our borders by offering many visual perspectives from across Texas.” This afternoon event was part of the month-long Print Austin festival.